Schools are one of the biggest users of the WooCommerce Protected Categories plugin – second biggest to be more specific. Companies use this amazing tool to sell uniforms, stationery and other branded products to parents and schools. Others sell booklists to schools they supply. Only authorized people can access the hidden store for each school, and it’s completely hidden from public view. Schools, colleges and universities create hidden and safe areas to sell products for tuition, parents, and alumni products. 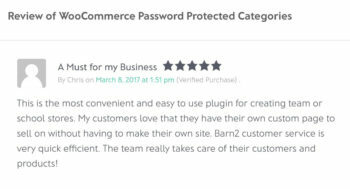 WooCommerce Protected Categories is basically a tool to sell anything to anyone in a secure and private way. You can use this WordPress plugin to make your whole online store private, with a separate private area for each school or user group. Or alternatively, you can use it alongside a public shop, selling a mix of public and school-only products. With so many schools using the plugin, you can rest assured that it’s fully optimized for your use case. Whether you wish to sell branded products or books to schools, the plugin allows you to create private categories for each school. You can hide each category behind a simple password and give the password to parents, teachers and other customers. Or for added security, you can restrict the category to specific users on your WordPress website, or even entire user roles. 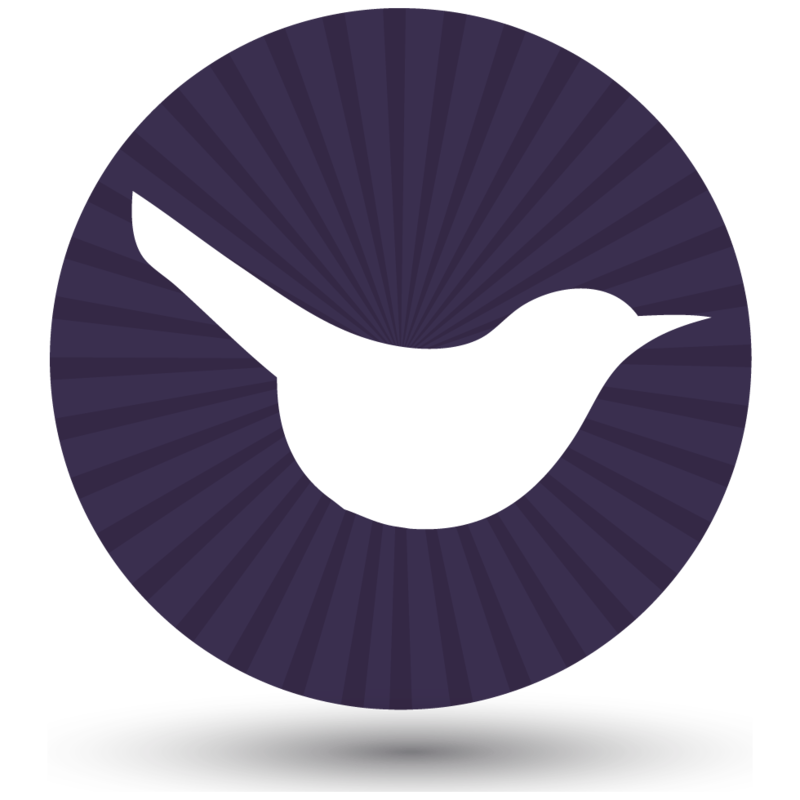 Schools and their suppliers use the WooCommerce hide categories plugin to keep information safe and sell products toward the right audience. Its central login page gives each school access to their own hidden category. There is no longer a need to create a separate shop for different clients or schools. This plugin is easily the most versatile WooCommerce protection suite on the market. Undoubtedly, one of the main benefits of the WooCommerce Protected Categories plugin is the opportunity to create one or more hidden areas to sell to each school. You aren’t just limited to a single product category for each school. That would be confusing and might limit you in terms of setting pricing. You can create multiple categories with different passwords. This allows you to manage and oversee products for different customers (schools, parents, alumni, or students). Download the plugin to start creating the hidden stores for schools or school suppliers. Once you have downloaded the plugin, install it and enter the license key you received in the confirmation email. When you open the plugin settings page, stay away from the boxes that show the products and protected categories in the public parts of your WooCommerce store. This keeps the shop for each school secure and hidden from everyone else. Change any other settings to configure the plugin in the best way for schools, colleges or universities. 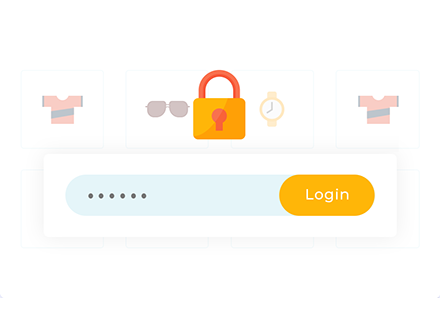 For example, if you’re using it to create WooCommerce password protected categories then you can change the wording on the password login form. If you’re restricting each school’s category to specific WordPress user roles or users, then you can choose what happens when they’re not logged in. Open the Categories page and create a new category for each school or group you want to sell to. You can make structures based on category and sub-category levels. There is literally no limitation as to how you can organize these. Select ‘Protected’ to hide the main category for each school or group. You can find this in the Visibility section of the page where you add or edit the category. 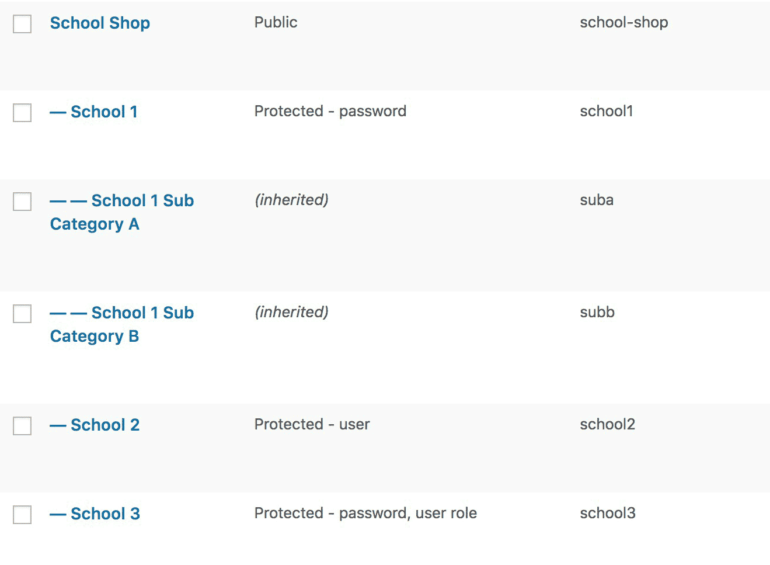 For each protected school category, choose whether you want to password protect it, or automatically unlock it for individual logged in users or specific user roles. You can also mix and match these options as needed. Note: When you add sub-categories, make sure to leave these child categories set to ‘Public’. The main password you set for the ‘Parent’ category will apply to the sub-categories, too. Next, add the products to the category for each school. 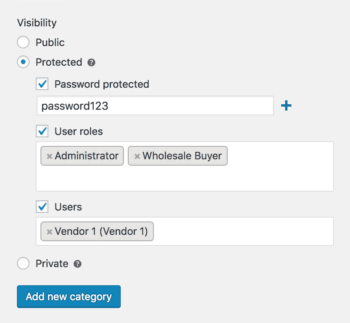 Keep the default visibility settings of the individual product, as the WooCommerce Protected Categories plugin will protect them automatically under the parent category. The product will be secure and hidden even if an unauthorized user tries to access it directly. If you’re using the options to unlock the school shops for logged in users or roles, then add each school’s category to the navigation menu (Appearance > Menus). Logged out users won’t be able to see this menu link. When a school or parent logs into their account, the link will appear so they can access their hidden shop. When a school, organization or parent enters a correct password, the plugin will automatically direct them to the category that matches their password. That’s all! These really simple steps will give you access to everything you needed to sell securely to schools and parents with WordPress and WooCommerce. So far, we’ve talked about the WooCommerce Protected Categories plugin because it’s the only way to create multiple hidden shops – one for each school. If you need a single hidden school shop that is completely hidden to the outside but open to everyone inside, you need the WooCommerce Private Store plugin instead. WooCommerce Private Store. is even easier to use. It will let you use passwords and user logins to hide the school’s shop from your website. Your remaining pages will be public, such as the school homepage and other public information. For example, if you’re an individual school then you might want to add a hidden WooCommerce store to your school website. You want to protect all your products so that only authorized parents and teachers can see and buy them. If you want all authorized users to see all your school’s products, then WooCommerce Private Store is a quick and simple solution. While we’re talking about using WooCommerce to sell to schools, you might like our other tutorial about how to take school dinner orders online. 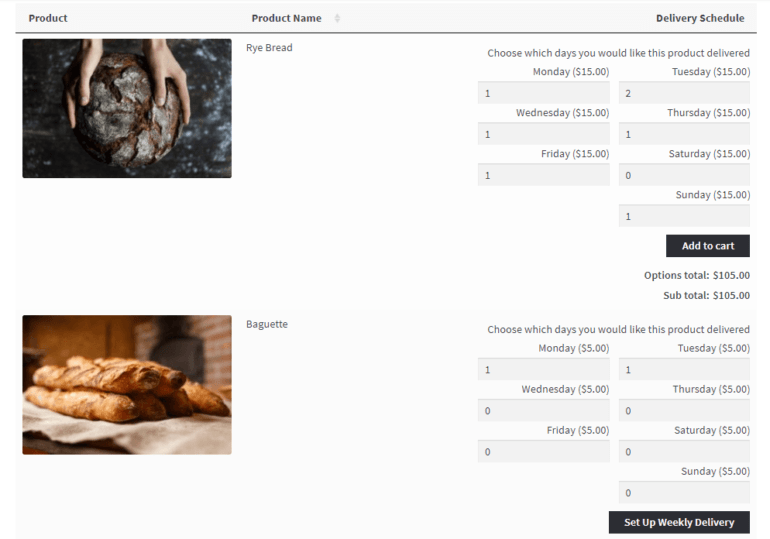 Parents can select the quantity of each food that is required on each day of the week, and pay online using WooCommerce. It works beautifully with Password Protected Categories, providing an easy way to securely receive orders for school dinners. The WooCommerce Protected Categories plugin is hugely popular among companies and organizations that sell to schools, as well as schools themselves. Do not miss out on this opportunity – get the plugin today!